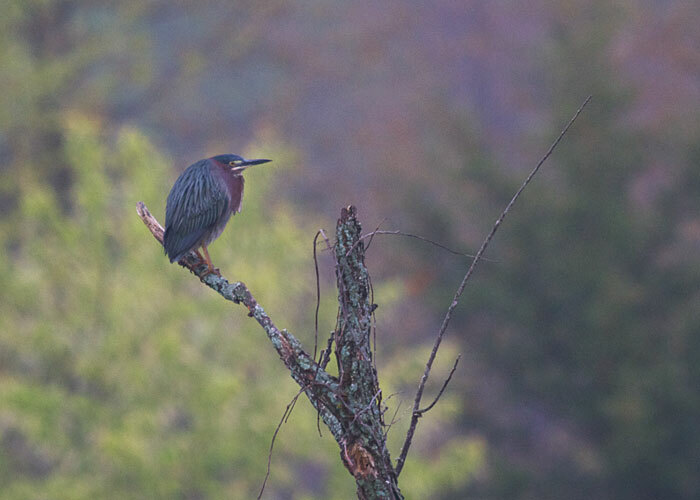 At drizzly dawn a green heron flies all gangly-legged to the pond and perches on a snag. I am struck by how the bird's greens and purples blend with the surroundings. 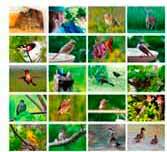 After you have a good binocular, for more distant birds, you'll want a spotting scope. We love this tiny 13-30x Nikon Fieldscope. It zooms from 13 to 30 power. But this scope weighs only a pound. Easy to carry anywhere, even in your carry-on flight bag. And the optical quality is outstanding.